Moxhull Hall is a stunning Victorian property built by Howard Ryland, Lord Lieutenant of Warwickshire and Lord of the Manor of Moxhull and Wishaw, after the old hall burned down. It was a private home until it was converted into a hotel in 1969. More recently, the current owner, Andreas Kalavanas, who took it over in 2004 and carried out a major refurbishment of the property that is complimented by eight acres of beautifully landscaped gardens. They proudly claim that a trip to Moxhull Hall is not complete without “taking a trip outside”. Moxhull Hall is the perfect venue for events, conferences, overnight stays and more specifically weddings. The hotel prides itself on what it has to offer – Accommodation that is grand and modern; achieving contemporary interior design and gardens with charming features, providing a feast for the senses and fantastic photo opportunities to capture the special day both by day and night. The Moxhull team are welcoming and experienced and are focused on offering a friendly, personal service ensuring that needs are catered for, and guests leave feeling well looked after. Hotel and Catering magazine ran an article about the Genius Hub system, which was very well written. Improving and maintaining individual guest experience is of paramount importance. The problem was with the heating in the Courtyard and Cottages which are separated from the main hotel by about 200 metres. The rooms were either too hot or too cold. Moxhull Hall wanted heating controls that could cater for the specific needs of guests. 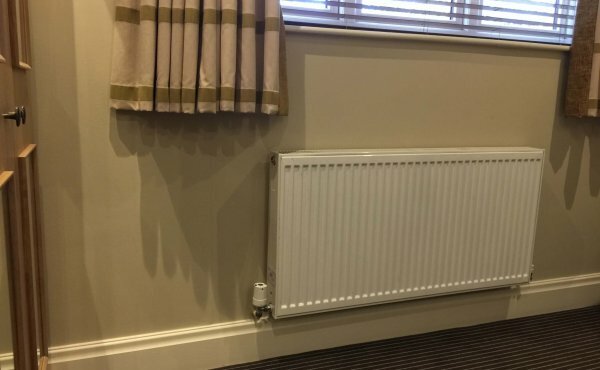 They didn’t want staff to continue with constantly adjusting the heating or housekeepers switching it off and then forgetting to switch it back on. Having done research and been aware of other systems the decision was taken to have the free survey from Genius Hub. The subsequent proposal and language of the article seen previously was consistent, and showed that it “clearly looked like it would do the job well” said Andreas. Installation of the Genius Hub is quick, easy and causes no disruption as it was done as part of a normal room changeover. It creates its own wireless network. Fixed wireless repeaters ensure the connection is rock-solid. Trained installers fitted the system in two days and even went to the trouble of installing a new consumer unit in one of the buildings, “solving a different issue we had with the electrics.” Says Andreas. Complaints about heating were normal prior to installation, guests would complain about the rooms being cold. Since the installation there have been none. Moxhull Hall have a Biomass heating system and as such, cost saving was not the priority for them, however Andreas tells us that they would “definitely recommend” the Genius Hub system as costs are a “massive burden on any business.” Genius Hub can offer at least 30% energy savings, but it all depends how it is used – savings are higher when rooms are left empty for several hours. Previously, rooms would have been heated all day, even though they were empty, or left with the heating off and guests were then entering cold rooms. The system also identifies and automatically shuts off the radiator when the window is open, thus not wasting heat out of an open window. Moxhull Hall is already a high-end wedding venue, guest perception is very important. Wedding guests are in and out of the rooms all day and they check in earlier than business guests do. The Genius Hub system means they can manage the individual zones turning the heating on and improving the guest experience in specific rooms, and of course also helps to reduce costs. This lovely Victorian mansion, is the perfect venue for hosting weddings, events, conferences or overnight stays.